Meres is a food snob. No pureed baby food for her. Only the best. And only what the rest of the family is eating. Only from off our plates. No fooling her. 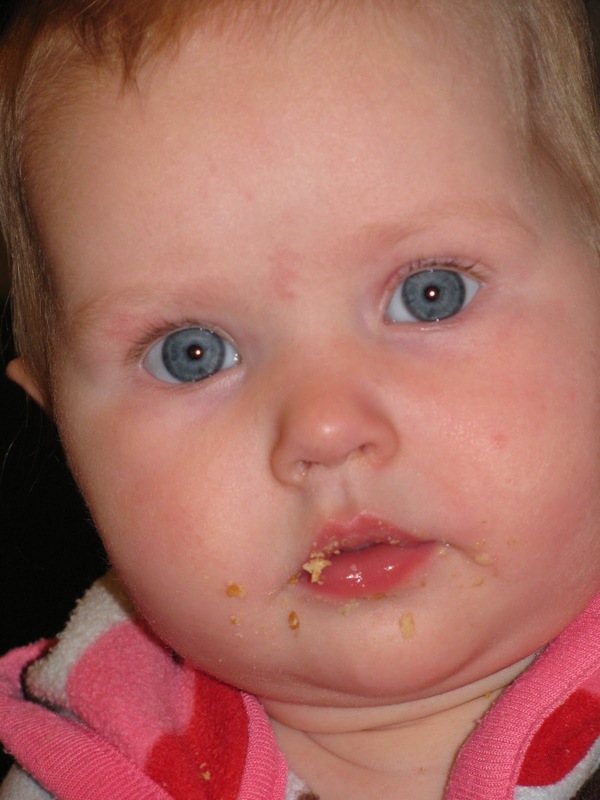 So far she loves mashed potatoes, and french bread crumbs. My little carb girl. Who likes tea? Not me! My two primary drinks are coffee (another blog for another day) and water. I have one cup of coffee each morning, with hot cocoa instead of cream and sugar. I will indulge in decaf on an occasional evening, with a rich dessert. But I drink gallons of water. Each week I probably consume 4 plus gallons all on my own. I don't know that I'd survive in a country without good drinking water. When I get all steamed up, here me shout. complete with appropriate actions. Aunt Elsie gave me a brooch that plays that song. My Elsie is learning the motions at Bible study, which she modeled for me yesterday. One of my life's little pleasures is a whistling tea kettle. I love that sound. Cheery, and comforting. I will never buy a whistle free tea kettle. What's the point? While tea is not my drink of choice-ever-it has grown on me since our second trip to England. Our hosts in London, as well as Glasgow, served Earl Grey tea. I have come to enjoy a good "cuppa" of Earl Grey. 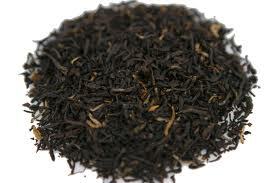 I like Earl Grey because it has a nice hardy flavor. It doesn't taste like barely flavored water. (my humble opinion of most teas=)) I like the hint of orange flavor from the bergamot. I like the more grayish colored blends of Earl Grey, rather than the ones that lean more towards brown. I will drink peppermint tea once in a while. It is good for digestion-both for me, and my nursing children. I never drink fruit teas. Ever. I think Celestial Seasonings has the greatest packaging. But I don't like fruit teas. At all. I know. That is so NOT Hippie-ish. I am learning to enjoy Darjeeling, and I have a pound of Assam that I am working through. I do not like English Breakfast. Yuk. (sorry, Danni=)) I do like having Jasmine tea at our local Chinese restaurant. This is the only tea that I drink with sugar. I am a tea snob. If I am going to drink it, I am going to drink it right. I use tea leafs, and a strainer-not tea bags. It is much more sophisticated. And a much bigger mess. The little bit of tea leaf you use multiplies to a huge amount of leaves. To properly make tea (according to books and the web. But maybe I'm just a schmuck=)), you always use a fresh pot of water-no reboiling. You bring the water almost to a boil, then pour it on the leaves. The recommended ratio of leaves to water is 1 teaspoon of leaves per cup of water. I usually use a tablespoon and a bit for my pot, as it holds less than 4 cups. Steeping time varies for different types of tea. Darjeeling steeps for 2 minutes, and only 2 minutes. Otherwise it becomes rather bitter. Earl Grey can stand a good 3-4 minutes. It is considered acceptable to pour more water onto the leaves for a second pot. If you like cream (or in my case, sweetened Silk), you pour that into the bottom of the cup, and add your tea to it. Sugar gets added to the tea. I don't know why, it just does. My source for tea is an English friend of mine. 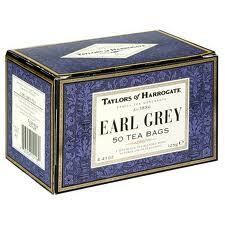 She makes pilgrimages to the Mother country annually, and often brings me a box or two of Earl Grey. When I run out of that, my tea source is The English Tea Store. They have many, many different types of tea-both leaf and bag-plus tea assessories, and tea pots, and everything your heart and palate would desire, to brew a good cuppa. Tea has a colorful and long history. It was accidentally invented in the 2700s BC, in China. 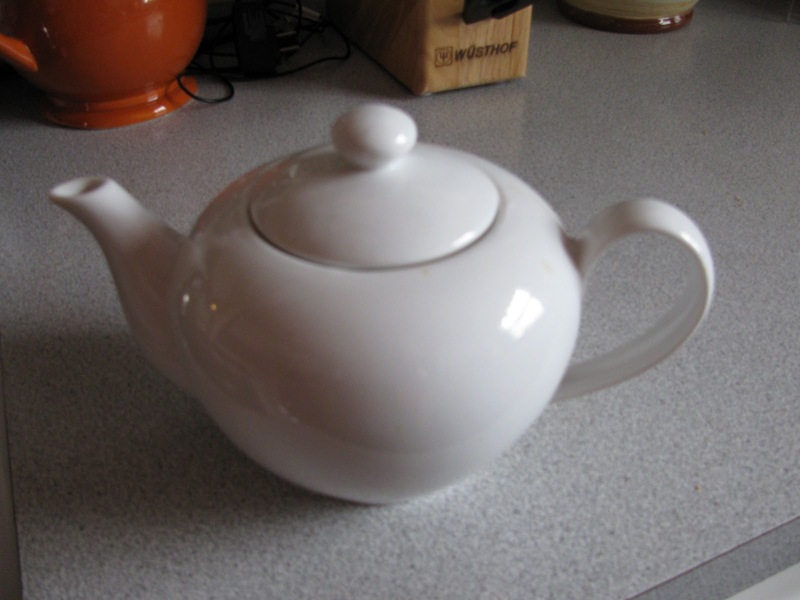 Tea was introduced to England in the 1600s, and was an aristocratic drink. The Boston Tea Party is a well known event preceding our Revolution, when colonists dumped a costly shipment of tea into the Boston Harbor. ProAmerican colonists boycotted tea throughout the entire Revolutionary War. Now tea is the most drunk beverage in the world, next to water. There are more than 1500 varieties to choose from. You can drink caffeinated, or decaffeinated, of most varieties. Its a good thing. Or so they say. I'm still needing more convincing. I have received a bit of flack for one of my favorite pastimes involving tea, The Tea Shop Mysteries by Laura Childs. The titles are corny, but the mysteries are fun, and she included interesting tea info, as well as tea room type recipes. Check them out here. These mysteries make me WANT to drink tea. And to add visit Charleston to my to-do list. An English proverb goes..."A man without a mustasche is like a cup of tea without sugar." And that, in my mind, is not a bad thing.